INLE LAKE. 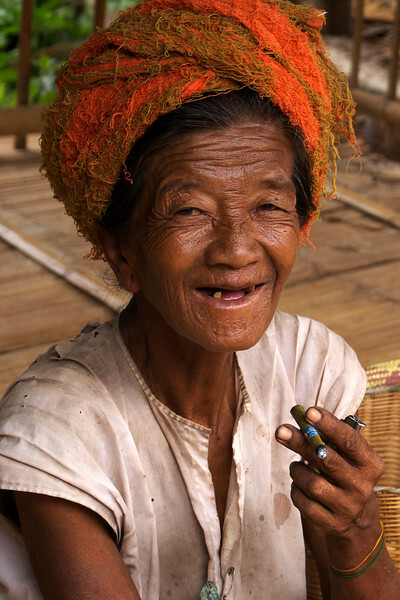 OLD WOMAN SMOKING HER CHERUT CIGARET. BURMA. MYANMAR.